221 pages | 41 B/W Illus. 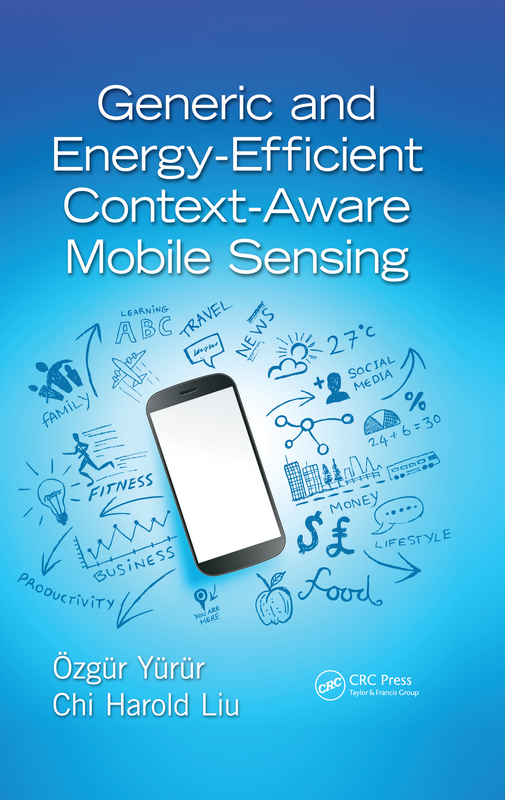 Elaborating on the concept of context awareness, this book presents up-to-date research and novel framework designs for context-aware mobile sensing. Generic and Energy-Efficient Context-Aware Mobile Sensing proposes novel context-inferring algorithms and generic framework designs that can help readers enhance existing tradeoffs in mobile sensing, especially between accuracy and power consumption. The book presents solutions that emphasize must-have system characteristics such as energy efficiency, accuracy, robustness, adaptability, time-invariance, and optimal sensor sensing. Numerous application examples guide readers from fundamental concepts to the implementation of context-aware-related algorithms and frameworks. Covering theory and practical strategies for context awareness in mobile sensing, the book will help readers develop the modeling and analysis skills required to build futuristic context-aware framework designs for resource-constrained platforms. Supplying theory and equation derivations for all the concepts discussed, the book includes design tips for the implementation of smartphone programming as well as pointers on how to make the best use of MATLAB® for the presentation of performance analysis. Coverage includes lightweight, online, and unsupervised pattern recognition methods; adaptive, time-variant, and optimal sensory sampling strategies; and energy-efficient, robust, and inhomogeneous context-aware framework designs. Researchers will learn the latest modeling and analysis research on mobile sensing. Students will gain access to accessible reference material on mobile sensing theory and practice. Engineers will gain authoritative insights into cutting-edge system designs. Ozgur Yurur received a double major from the Department of Electronics Engineering and the Department of Computer Engineering at Gebze Institute of Technology, Kocaeli, Turkey, in 2008, and MSEE and PhD from the Department of Electrical Engineering at the University of South Florida (USF), Tampa, Florida, in 2010 and 2013, respectively. He is currently with RF Micro Devices, responsible for the research and design of new test development strategies and also for the implementation of hardware, software, and firmware solutions for 2G, 3G, 4G, and wireless-based company products. In addition, Dr. Yurur conducts research in the field of mobile sensing. His research area covers ubiquitous sensing, mobile computing, machine learning, and energy-efficient optimal sensing policies in wireless networks. The main focus of his research is on developing and implementing accurate, energy-efficient, predictive, robust, and optimal context-aware algorithms and framework designs on sensor-enabled mobile devices. Chi Harold Liuis a full professor at the School of Software, Beijing Institute of Technology, China. He is also the deputy director of IBM Mainframe Excellence Center (Beijing), director of IBM Big Data Technology Center, and director of National Laboratory of Data Intelligence for China Light Industry. He holds a PhD from Imperial College, United Kingdom, and a BEng from Tsinghua University, China. Before moving to academia, he joined IBM Research, China, as a staff researcher and project manager and was previously a postdoctoral researcher at Deutsche Telekom Laboratories, Germany, and a visiting scholar at IBM T. J. Watson Research Center, Armonk, New York. Dr. Liu’s current research interests include the Internet of Things (IoT), big data analytics, mobile computing, and wireless ad hoc, sensor, and mesh networks. He received the IBM First Plateau Invention Achievement Award in 2012 and an IBM First Patent Application Award in 2011. He was interviewed by EEWeb.com as the featured engineer in 2011. Dr. Liu has published more than 50 prestigious conference and journal papers and owns more than 10 EU, U.S., and China patents. He serves as the editor for KSII Transactions on Internet and Information Systems and was book author or editor of three books published by CRC Press. He has served as the general chair of the IEEE SECON’13 workshop on IoT Networking and Control, the IEEEWCNC’12 workshop on IoT Enabling Technologies, and the ACM UbiComp’11Workshop on Networking and Object Memories for IoT. He has also served as a consultant for Bain & Company and KPMG, United States; and as a peer reviewer for Qatar National Research Foundation and the National Science Foundation in China. He is a member of the IEEE and the ACM.